Volumes: 11, ongoing, last published on January 10, 2018. Year 526 of the Liturgical Calendar. The world knew that witches existed, and that they practiced the notorious art of sorcery. Nevertheless, the world did not know anything about the study of magic. Our story follows a half-man, half-beast mercenary; humans mockingly call his kind the “fallen beasts”. He always dreamt of becoming a human, but one day, he met a witch who would change his life forever. The witch introduced herself as “Zero”, and explained that she was searching for a one-of-a-kind magical tome that bandits had stolen from her lair. Entitled “The Book of Zero”, the grimoire supposedly contained valuable magical knowledge that could be used to effortlessly bring the world to its knees. This is the story of a haughty sorceress and a kindhearted beast. I thought the anime was pretty neat (although, like most LN anime adaptations, it seemed really rushed). I know this is Kadokawa, but the fan translation isn’t finished with the second volume even after working on the series for like 2 years. This series seems like a YP title given its publisher, but I would love for JNC to be able to branch out and get this! Why do you hate me so much Pancake-Sama? Is it cause I had some flapjacks for breakfast today? I Really Want This Series So You Get My Up Vote! @lingo III m surprised at the fact that it was a lot of content for it to be just 1 Volume. I was sure it was at least 3 volumes worth. I enjoyed the simplistic nature of the adventure for this. The anime was interesting, really want to know what happens after volume 1. I want to see the adventure continue. Nice and simple, easy to follow. I would really like for this to get licensed as well. The anime got me interested, and I think it will be a good series. 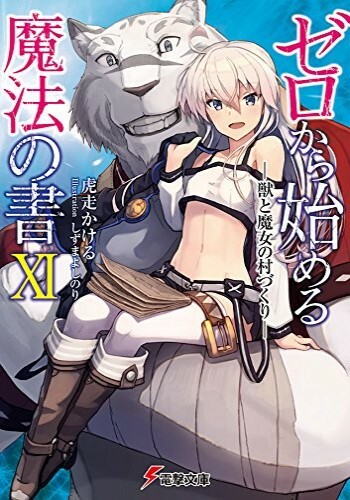 Would definitely love to see this translated. Nice and simple, easy to follow. Gonna give this one a tiny bump, I decide to rewatch the first episode last night and ended up rolling through the first 6. It’s a good anime I would really like to see the original source material for what I have read, and then beyond. Would be great indeed. I know there are a few animes that I'd like the source materials translated for. I saw a lot of potential in this series, especially after the anime. I never realised that the entire season covered only Volume 1, which is unusual for an adaptation where they usually cover 3 volumes for a season. Which probably indicates how much information was contained in the world building. I have read the fan translation of the first 2 volumes and I have greatly enjoyed it. Would be interested. Has my vote.